If your car battery is having trouble holding a charge, there’s a good chance you need a new one. 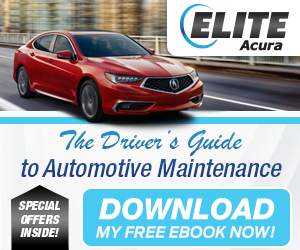 At Elite Acura, we handle a wide range of battery services, from testing all the way to a full car battery replacement. 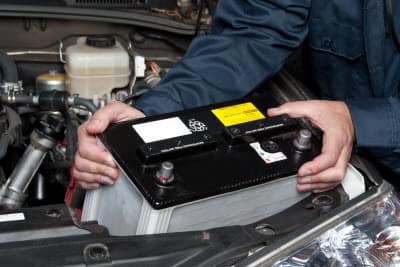 So if you’re looking for a “car battery replacement near me”, Elite Acura helps drivers across Maple Shade, Moorestown, and Cherry Hill find the right solution for their battery-related troubles. We’ll have your car fixed up and ready for the open roads in no time! At our dealer, we’re emphatic on the point that not every failure to start the car requires a new battery. The battery might be drained for any number of reasons—like leaving your headlights on overnight—and can be brought back to life via jump-starting. The Check Engine light can signal a wide range of potential issues, but you can rest assured that we’ll find, diagnose, and apply a solution to the problem. When you visit our service center for battery service or repair, you can count on exceptional service with cutting-edge technology and the unparalleled skills of our trained technicians. They’re very methodical, and they’ll approach battery service with an eye toward getting you the best value possible—and that means testing your current battery first. By doing so, they’ll ensure that it truly is at the end of its life before installing a new one. If you do need a full replacement, we’ll help find the OEM battery recommended for your car by the manufacturer. We’ll install it quickly, efficiently, and accurately, so you can enjoy a safe and reliable ride through Maple Shade, Moorestown, or Cherry Hill. If you notice any of the signs you need a car battery replacement, don’t wait around. 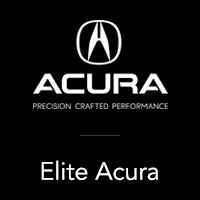 Schedule a service appointment at Elite Acura to have your battery inspected and replaced, if necessary!